H, those look tasty! What did you use for buttercream? I noticed this recipe is a little richer than All-American chocolate butter cake, is the texture a little closer to pound cake? H, very nice take! Love the star shape. Julie, I made this last year. If I remember correctly the texture is a bit more fluffy, not as moist , and less chocolatey taste than the German Chocolate cake base. Not sure if this is a correct assesment, perhaps Hector can confirm or correct my answer? I use the Chocolate Egg White Buttercream for both cake and I like the pairing with German Chocolate much better. J, it is moister than the all American, less moist than the german base specially after the first day when all butter cakes typically start to dry out. The German base is oil base so it remains moist longer if not ever! I shall try the chocolate egg white bc… Yum! J, these are moister then the all American. The texture is tender melt in your mouth, not a pound cake. The little rose is burnt orange smbc. H, I must try the burnt orange smbc – perhaps next month for the June Bake Off (especially now that I have the boyajian oils :)). J, i always consider the smbc a vanilla ice cream like mousseline. burnt orange (caramel and orange) is such great flavor variation. these roses came from my november 2009 turkey cake, i had them stored in the freezer (super airtight) since then. was still great as day one. Amazing turkey. I remembered this from last year, though it’s always nice to revisit! 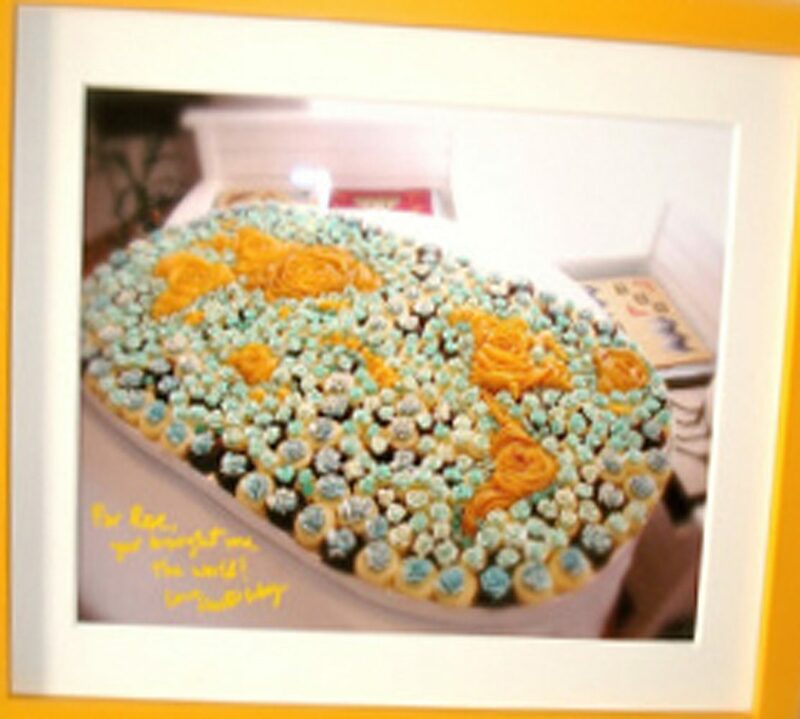 You do such wonderful creative baking Hector! The chocolate egg white bc that I spoke about, I made the full recipe last November, freeze airtight 1/2 of it, and the frozen half I used 2 weeks ago. Taste is excellent like fresh made as well :).